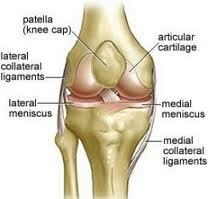 Arthritis is common to the knee joint. Years of repetitive strain and lack of biomechanical shock absorption from the feet can great a "worn and torn" knee joint. Prevention is the best measure. Symptomatic treatment such as ice/heat, massage, acupuncture, chiropractic mobilizations and custom orthotic therapy can all provide relief. Have your questions about Knee Pain answered by Dr. Michael Horowitz by calling 604-737-3668 or by filling out the form below. He will respond promptly.